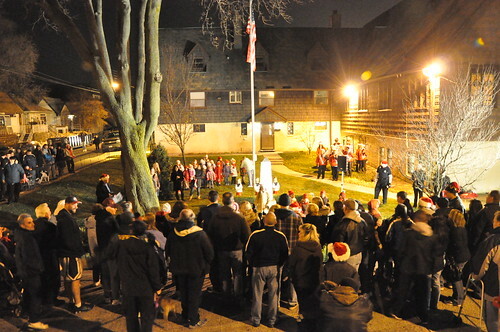 Gerritsen Beach residents and business and community members turned out for the annual tree-lighting ceremony at St. James. 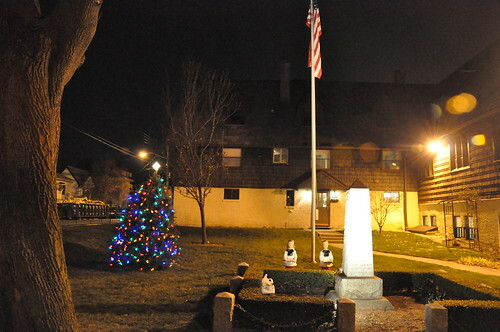 The lighting event, on Dec. 11, was a volunteer effort led by the Gerritsen Beach Property Owners Association. During the ceremony, guests enjoyed a visit from Santa, and music from the Gerritsen Beach Community Marching Band. Just Beautiful! Thanks to St. James Church, GBPOA, GB Cares, Lilly and the band and all the wonderful, fantastic people who make Gerrittsen Beach the best place to live. The Avenue looks beautiful and bright and reminds us all that the Spirit of Christmas is alive and well. A very Merrry Christmas and Wonderful New Year to you all!!!!!!! Amen, always a beautiful place during the Holidays. Why is Scrooge hitting the “thumbs down” option? This is what makes GB a great community! Thanks to ALL involved & a GREAT BIG THANK-YOU for not turning this event into a circus! Gerritsen Beach still comes together & that is what separates us from the rest of the city! Lets move forward in 2011…stop pointing fingers & airing dirty laundry. Why is Scrooge hitting the “thumbs down” option? BOOOOO to you Scrooge!! !